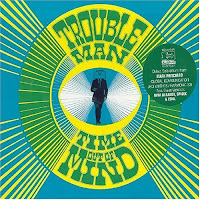 There's a brand new version of the excellent "Time Out Of Mind" by Troubleman (aka Mark Pritchard) available over at the iTunes store. The new version features all the tracks from the original release, plus three additional tracks: "The Essence", "Son Of Bongolia", and "Without You (Wajeed Remix)". The original album is fantastic enough as it is, but if you don't have it in your collection I highly recommend it, especially with the extra tracks. "The Essence" has been a particular favourite of mine since it was released on vinyl back in 2001. Buy "Time Out Of Mind (Extended Edition)" from iTunes here. 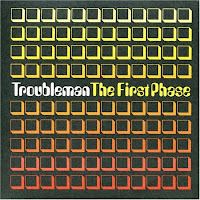 Also available is the equally excellent "The First Phase" album, which is a collection of older Troubleman tracks, remixes and collaborations. Buy "The First Phase" from iTunes here. Buy "The First Phase" on CD from Amazon here.